Inspired by the theme, “How to Create a Tohoku that the World Would be Envious of Ten Years from Now,” the program aimed to create a future for Tohoku based on dialogues and workshops, including participant visits to innovative companies and organizations and interviews on the future of society and the potential of Tohoku according to various sectors. The program gave the students different roles in order to develop their leadership skills. The high school students joined as participants, while the college students were divided into two roles: one as student leaders of the high school students, the other as student staff who supported the program’s implementation. On the morning of the first day, the participants were divided into six theme teams: “economy,” “technology,” “education,” “community,” “lifestyle,” and “global citizenship.” Various ice breaking games and workshops were carried out to help with teambuilding. 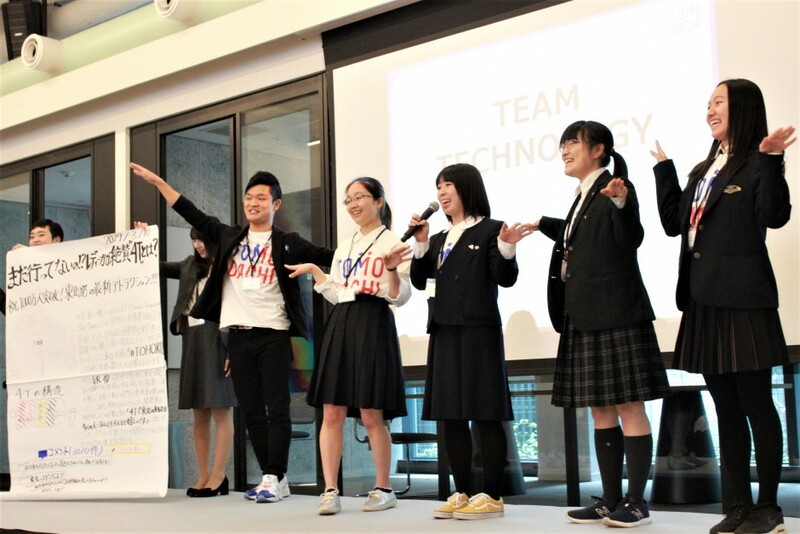 In the afternoon, after learning about global trends and the current state of Tohoku, the teams were divided into three groups of two teams each. Each group visited NPO Common Beat, The Prudential Life Insurance Company, Ltd., WeWork Japan, NPO CR factory, U.S. Embassy in Japan, and Amazon Japan G.K.
During dinner, the participants had the opportunity to interact with employees from donors of this program, including Prudential Holding of Japan Inc., The Prudential Life Insurance Company, Ltd., The Gibraltar Life Insurance Co., Ltd., and The Prudential Gibraltar Financial Life Insurance Co., Ltd.
On the second day, the program emphasized the core of its theme, “How to Create a Tohoku that the World Would be Envious of Ten Years from Now,” and a workshop on project presentation was held. In the afternoon, Mr. Shiro Oguni, owner of the “Restaurant that Gets Orders Wrong,” delivered a keynote speech. Many participants were inspired by the power of creative ideas and unique expressions shared by Mr. Oguni, who has also been involved in the production of television programs such as “Close-up Gendai” as a NHK producer. On the final day, to conclude the three-day program, participants gave presentations in the coworking space WeWork Iceberg in Harajuku. Many guests, including those from companies and organizations the participants visited, joined. 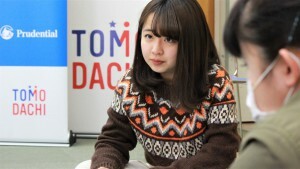 Using the theme, “How to Create a Tohoku that the World Would be Envious of Ten Years from Now,” each team made elaborate and unique presentations. The program is generously supported by the Prudential Foundation.